I came across this article and found it very interesting to say the least. I have had talks with a couple friends and we cannot seem to figure out why all these banks broke economics 101? How do you plan on making money by allowing people who cannot afford to borrow money, to borrow it and with no down payment? Well, John Allison the retired CEO of BB&T—a North Carolina-based bank with more than 1,500 branches managing $143 billion in assets has avoided the collapse of his bank. How did he do it? He ran the company by not talking about numbers but on values and principles from Ayn Rand's system of ethics. The fact that BB&T didn’t dive head-first into the shallow pool of subprime mortgages certainly goes a long way toward explaining the relative health of BB&T as an institution. 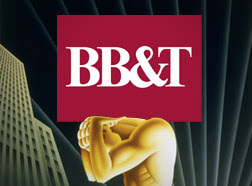 But how was BB&T able to resist chasing after all that new mortgage money? Allison calls it “the best defense of capitalism ever written” and made it required reading at BB&T. Since 2005 the BB&T charitable foundation has given millions of dollars to dozens of universities to establish academic programs devoted to Rand’s philosophy. Some of the the universities have objected the gift's through its faculty, but Allison says that Rand is misunderstood. Allison points out that she is misunderstood more often than not. Rand is often viewed as “extreme” because her defenses of capitalism and “rational self-interest” are seen as promoting greed and selfishness. Yet Allison is quick to note that the strong values and ethics that Rand’s philosophy promotes allowed BB&T to steer clear of shortsighted and greed-driven decisions. A lot of people attack Rand's philosophy on its lack of altruism and that people misunderstand her to be selfish. Allison says that it was misled atrusim that got all the banks into this mess in the first place. He travels around the country giving presentation on the subject, and one of the things he singles out is the philosophy of the government policy-makers. Needless to say I think capitalism needs to be defended and that reading Atlas Shrugged myself, it has opened my eyes more than once in the last few months. I would suggest anyone who hasn't read the book and have always wanted to, start reading it this weekend. It is never a bad time to read it, but with everything going on everyday with our economy and government it should be read, or re-read. If you think its irrelevant nowadays just check out all the conversation going on. "Altruism" is what got us into this mess in the first place. Not only do companies need to focus on "rational self-interest," but state agencies need to even more. I work for a county education system and am possibly being laid off because an older, less accomplished educator could take my place. If we operated with rational self-interest and focused upon educator performance and success, I would not be at risk of losing my job and the district would continue to have a high quality, data driven educator. Instead, I am being pushed out because someone less qualified with longer years of experience is taking my place. Our government makes claims to how agencies, businesses, etc. should be run, but are not able to actually enforce the decisions to make these things happen (i.e. laying off someone who is not performing, allowing companies to fail, not providing constant bail-outs if mistakes are made). Awesome post. How do we know when our government is acting altruisticly? We don't and typically they don't. Their self interest is to become reelected. Those decisions that result from that motive don't always result in whats best for the city, state, US, etc. Thanks . ..
What type of Millionaire would you be? Governments hands in our 401(k)s? 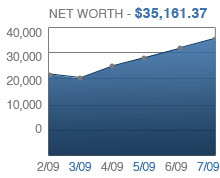 April 09 Net Worth: 28% Jump! The opinions expressed by My Money Shrugged and those providing comments are theirs alone, and do not reflect the opinions of any financial advisor. 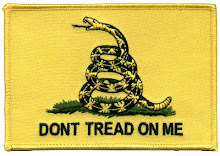 My Money Shrugged is not responsible for the accuracy of any of the information supplied. Please seek the advice of a professional for any real advice. Thanks!